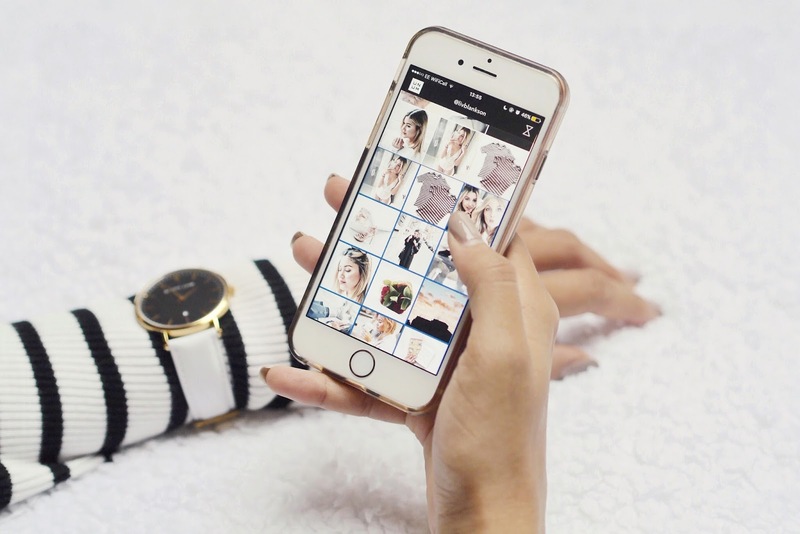 Easy Ways To Improve Your Instagram // The Must-Have App | liv in fashion. I'm not usually one to blow my own trumpet but bear with me, this is going somewhere and I thought it was about time I shared with you some (not-so-secret) secrets. I get a lot of comments about my Instagram and how 'lovely' my feed is, even more so, I've noticed, over the last few months. Not gunna lie, but receiving comments both on my photos, from strangers, and in real life from those with whom I'm more familiar, about how much they're liking my content, is a massive achievement for me and only inspires me to create more and do better to produce work I'm truly proud of. It's something I feel I am currently, finally doing because I've (almost!) fully discovered my niche and the exact content which I believe firmly reflects myself as a person. I know it all sounds a little lame in the grand scheme of things and if you're not an internet/blogging mogul, you won't really understand the hype, nor the toil and trouble we go through daily just to get the most beautiful looking accounts, with co-ordinating colours, that truly display our online 'brand' and personas. I can unashamedly admit that I'm guilty of deleting photos which don't quite fit those previously uploaded, tweaking them and then re-uploading for full satisfaction. Yes, some may call it obsessed or pedantic but perfectionism is a trait of my personality either way, and at the end of the day, what may seem like an insignificant, 'fake representation of real life' social network to some, is actually a huge part of our online footprint and for a lot of us, our jobs. 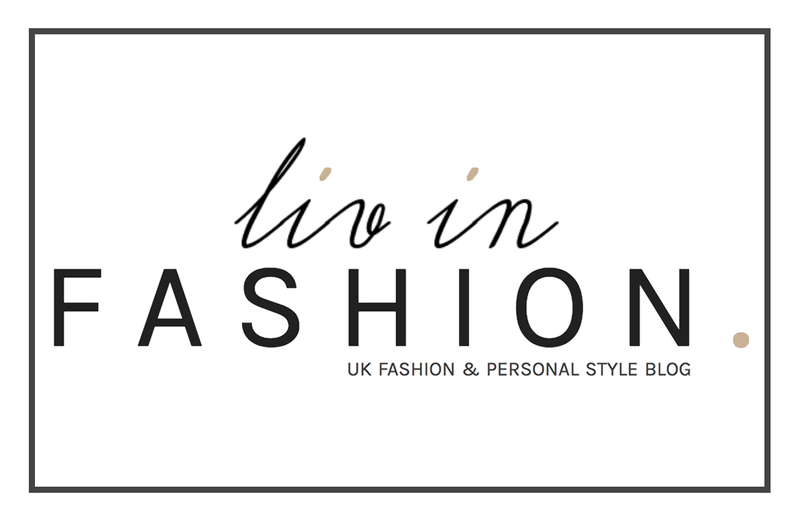 These profiles represent who we are, what we do and also showcase our skills, creativity and individuality (whether you're a blogger or not, it doesn't matter what you do) so, at the end of the day, why wouldn't you want to put your all into something that is essentially your online portfolio? Why wouldn't you want it to be showcasing 'you' to the best of your ability? We for sure as hell did at school/college because that portfolio, for some, even determined our futures. An obvious but highly necessary one: Always search for the best light possible. You may hate bright and 'airy' looking accounts but a moody photograph still needs correct lighting. 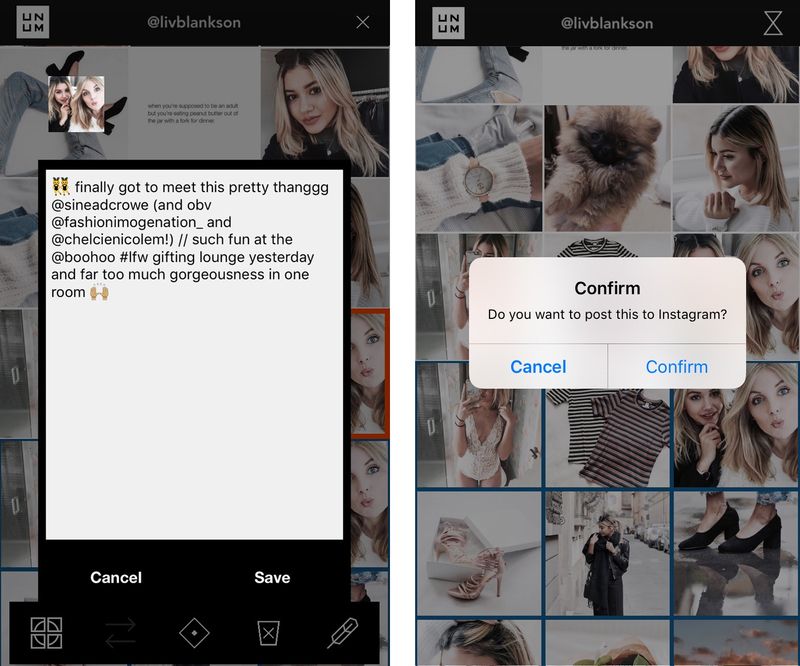 If you've taken a badly lit photograph, even VSCO and Afterlight won't save you. They will just give up and give you ALL the grain. Unless that's the look you're going for...in which case, ignore me completely. Don't over do it. One filter and a few tweaks to contrast/saturation/cast is enough. Find your theme. Keep it consistent. I'm not saying you have to use the exact same edits for every photo, because not every photo will be the same. It's going to vary based on lighting, colour, composition etc. so this is not a 'one size fits all' jobby. You don't even have to stick to the same filters, as long as there's some sort of consistency carried across. i.e. warm undertones or green-toned shadows. Pay attention to your details and it will really help your overall aesthetic. Now once you're sat there, faced with a library of beautiful pictures, feeling overwhelmed but also pretty satisfied with yourself, what comes next? Uploading them willy-nilly will still produce a portfolio of beautiful pictures because that's exactly what they are, but will it truly show them off at their best? Probably not. Some compositions work better alongside each other than others and too much busy-ness, or even an abundance of starkness can really put people off. I'm, quite obviously, a fan of bright pictures but if I head to an account that is SO WHITE and bare that it's difficult to focus, I often have to leave it alone. Same goes for those with too much clutter. There are ways of pulling these off perfectly - samantha_istella and 1924us are two examples from either end of the spectrum; it's all in the arrangement. So, after months of creating myself a new photo album on my phone, purely for planning my Instagram layout and ordering photos which I thought complemented each other best, I found the answer to my prayers. I found UNUM. Having a folder was all well and good until the time came that I needed to move around some photos or add new ones in between those that were already placed, which resulted in having to delete almost the entire contents of the album, to only have to remember which order they went in and re-add them including the new one(s). It wasn't pretty. 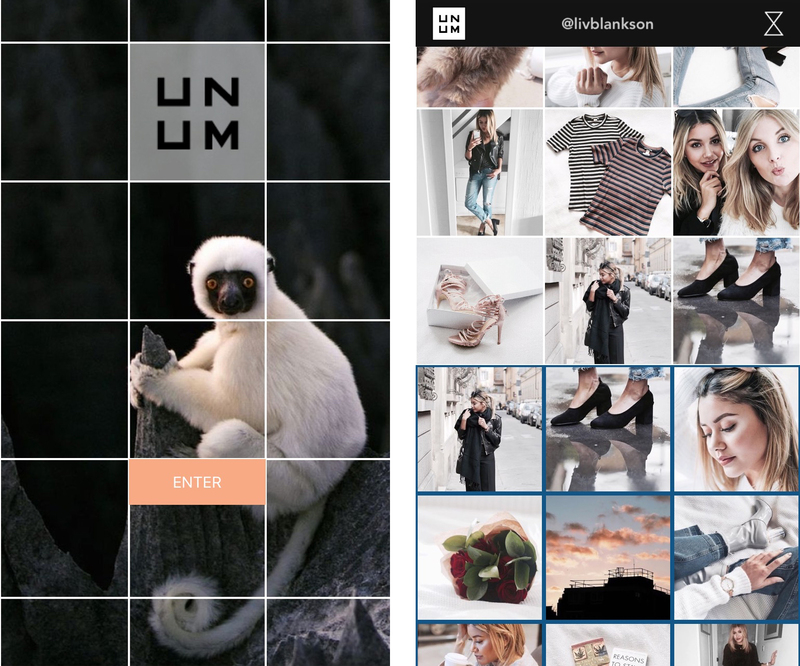 UNUM appears like a grid and preloads your existing Instagram pictures from your account, in order to let you see exactly what your newly planned feed will look like! I've included a screenshot of how I use it, because I always re-upload my most recent row of photos at the bottom, so that when I want to see what a new image will look like in relation to the others, I can easily add it in front (the blue borders are my current feed and the white are those yet to be uploaded). You can download UNUM here, read my other tech-related writings on Mallzee here and also follow me on Bloglovin' to keep up to date with all my latest posts!